Cults. Not much good to say about ’em. But the reason religious organizations like Scientology, Branch Davidians, Children of God, and The Unification Church have attracted followers throughout history is because they offered the promise of something rewarding, meaningful, soul satisfying. And, to some extent, those dangerous orgs delivered on that promise. But after a honeymoon period, for most cult members there seems to be an inevitable “waking up” and subsequent escape from the clutches of the cult. Meanwhile, the rest of us sit back and shake our heads and self righteously assert that we wouldn’t ever be so weak and gullible as to fall prey to a charismatic religious fanatic. That may be true, but have you ever fell prey to a charismatic boyfriend (or girlfriend)—who you knew was bad news but you got involved anyway and days, weeks, months later you were compromising your principles and entangled in a mess? No, it’s not a perfect comparison, but the point is that nearly all of us are vulnerable to powerful people. This week’s interview is with Lisa Kohn, a former member of The Unification Church. 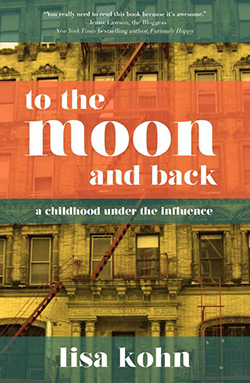 The story of how she got in and got out of her particular cult nightmare is the subject of her new book, To the Moon and Back: A Childhood Under the Influence, which was released last week by Heliotrope Books. 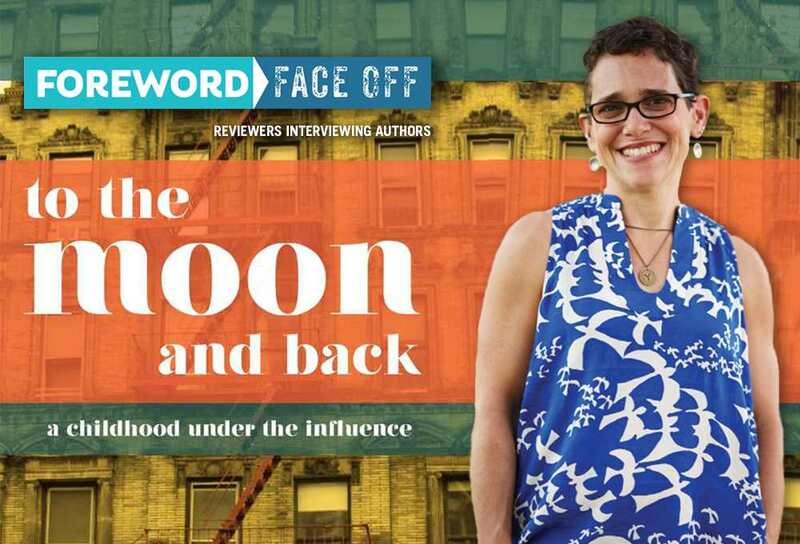 In her review in the September/October issue of Foreword Reviews, Hilary Daninhirsch called the book “at once heartrending and mindblowing,” and those words are magic to our ears in our search for potential Foreword Face Off interviews. Enjoy this conversation between Hilary and Lisa, and you’ll be certain to better understand how cults exert their dark forces. Although you’ve left the Unification Church some time ago, are there any teachings or lessons derived from the church that have stayed with you throughout your life? What are they, and why do they still resonate with you today? That being said, the teachings of the Church—good and evil, right and wrong—are ingrained in me. I can get stuck in that rigid, judgmental thinking if I’m not careful. And when I was researching the Church teachings so that I could explain them in the book, they all made complete sense to me again, as if they were true (even though I know they’re not). Your mother essentially abandoned you and your brother as she chose the responsibilities of church life over the responsibilities of motherhood. How were you able to rise above your childhood and learn to become a “typical” mother to your own children? Conversely, was there anything about your upbringing, any values or lessons learned from your parents, that you do try to emulate as a parent? I do believe I “healed” through having and loving my children. I’m not sure how I was able to rise above and become a good mother, and I feel very lucky and graced that I was (and am). My goal was that my children would know they were loved and valued, as I didn’t really know that, and I parented from that place. I probably overindulged or somewhat smothered my kids at times, because it’s hard to know when you’re overcompensating. I read some parenting books; I learned about attachment parenting (determined to NEVER let my children feel abandoned); and simply allowed myself to love them and treat and raise them lovingly, if that makes sense. As for what I learned from my parents that I would emulate, although I (somewhat jokingly) say “parenting without role models—there’s only so long that you can say, ‘just do the opposite!’”, I would admit that from my father I learned the value of opening your home to friends and strangers, and from my mother, I remember when we were young that she would sit with us until we fell asleep at night, and I’ve tried to be there in that way for my kids when they’ve been afraid. Do you still keep in touch with any of the friends you made while you were an active member of the church? Are any of them still active, and if so, have they accepted your decision to leave? If any friends are still active, have you accepted their continued involvement? I was not in touch with anyone from the Church for decades. It’s only in the more recent past that I’ve reconnected with a number of people whom I knew (and loved) then. Many of them are not active, and we have talked about that and share that in common. The ones that are active have accepted my decision to leave, and I, in turn, accept their decision to still be involved. It’s like an agreement to be friends both with and despite that difference, because we are so lucky and grateful to have the chance to be friends again. What compelled you to write the memoir, and what was the writing process like? Cathartic? Painful? Many years ago, when I first stepped into support groups, I would share my story and everyone would say, “You have to write a book.” Nearly twenty years ago I began writing, although at that time it was part memoir and part self-help—“here is what happened to me and how it messed me up and how I got better…and you can too.” I had numerous agents tell me that I wasn’t famous enough to write a hybrid book—“where will they shelve it in Barnes & Noble?” In 2010, an agent reached out to me and told me that if I wrote a memoir she would represent me. I wrote the memoir, but by the time it was finished, she could no longer represent me, so I’ve searched for quite a while to find a publisher for my book. In writing I found that I loved to write, so that was a wonderful experience. In some ways it wasn’t cathartic, because I have told my story so many times before. It was, however, cathartic in that while I wrote, I realized some of the good that I got from my experiences and some of the love that was there and that most likely helped me survive. It wasn’t outright painful to write about all this, although my husband often commented that he could tell when I was working on the book, because I would get less emotionally stable in some ways. However, I wasn’t aware of that and wasn’t certain it was true. I definitely dug up a lot. How have your experiences in the church affected your feelings about organized religion? What role does religion have in your life today? Organized religion plays a very little role in my life. My husband is Jewish, and I somewhat practice Judaism with him and our family and his family—celebrating the High Holidays and Chanukah, etc.—but it doesn’t mean anything to me really. I would possibly be more comfortable in a “casual,” inclusive Christian church, but it is not worth it to me to find that outlet. I am very spiritual, but I don’t like organized religion very much. I feel that it gets tainted by people and with arbitrary rules and regulations. How have you channeled the pain of your childhood, and your time as a full-fledged member of the cult, into art and joy and love? In my healing process, I learned to turn to love. I actively focus my attention on things that bring me joy and on feeling and expressing love. I feel that the pain of my childhood caused me to choose to focus this way (in order to heal), and that I am perhaps more appreciative of simple joys and blessings and beauty than many people because of the pain I felt in my childhood and in my time in the Church. I “teach” this approach in my work as a leadership consultant and executive coach (www.chatsworthconsulting.com), and I try to share the tools I learned to heal and to be happier. I earned a certificate in Positive Psychology last year in order to formalize my understanding of joy, love, and positivity, and I think those tools helped heal me and my experiences bring me a unique perspective that I can share with others. I believe that everything I experienced in my childhood—the good, the bad, the crazy—made me who I am today. And while it may not have been “fun” to go through what I went through, I like and love who I am today (it’s taken me quite a number of years to get there! ), so I pretty much wouldn’t change any of it. I wouldn’t want to go through it again, but, again, I have more appreciation for the simple things in life and I see myself as so blessed and lucky, and I do my best to bask in that and enjoy that as much as I can. If my childhood gave me this zest and appreciation, that is something special. I also believe that as a species we are extremely hard on ourselves and self-lambasting, self-critical, and self-judging. I think we all—or, at least many of us—need to be more self-loving and to have more self-acceptance and self-compassion. I believe that love and joy are there for us to find, and that it’s our “job” to search them out as best we can (and to ask for help when we can’t).